The CoffeeShop Blog: CoffeeShop Pink Portrait Tint and Texture: A Photoshop/PSE Tutorial! CoffeeShop Pink Portrait Tint and Texture: A Photoshop/PSE Tutorial! 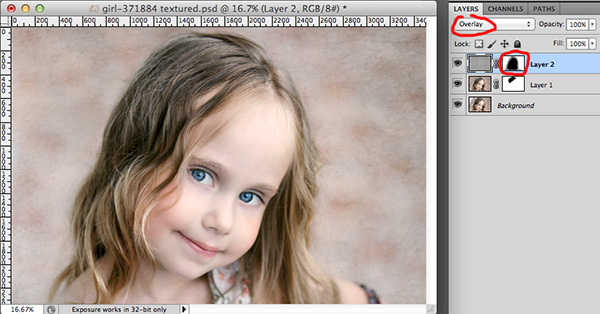 Today I am posting a tutorial for Photoshop and PSE on how to add a soft pink tint and texture to your portraits. 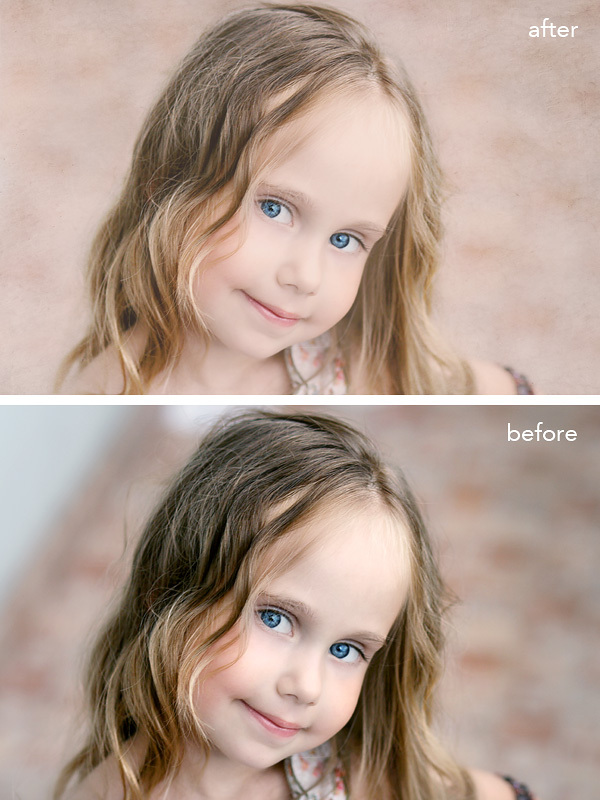 This is a completely adjustable edit and can look so incredibly beautiful on portraits of girls and women. I think this type of editing technique makes the image almost resemble a painting. 1. 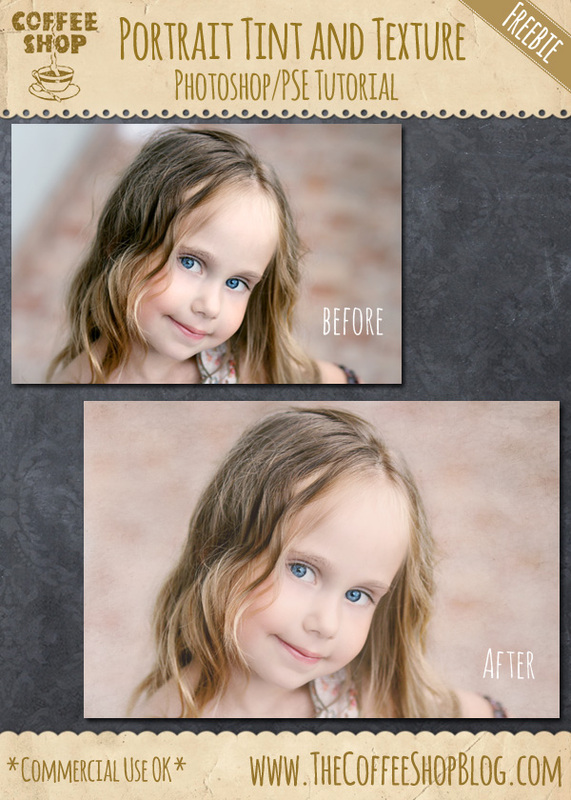 Fixing Backgrounds: Start with a portrait that is already edited for contrast and color. If you want to see how I edited this lovely photo, you can follow along the edit with me on this post. I used the CoffeeShop Perfect Portrait 3 Express action on this edit. I love this image as-is, but I think it will be fun to create a dreamy version. The upper left side of this image is bugging me because it doesn't have any texture like the rest of the background. That will be my first fix. A quick way to do this is to duplicate (Ctrl-J) the image to a new layer and use the Clone Tool (S) to clone the background from the left side over to the right. Then add a layer mask and paint over it with a soft black brush to remove any unintended background off of your portrait. In this case I removed some from her hair. 2. Add Texture: Add your texture(s) of choice. 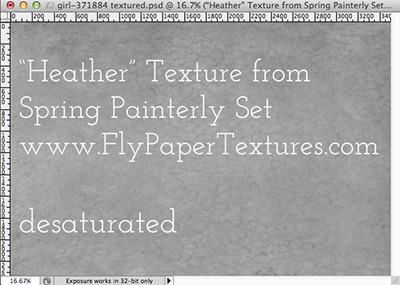 I used a beautiful texture called "Heather" from the FlyPaper "Spring Painterly Set". I also love using textures from Shadowhouse Creations. I removed all color (ctrl-shift-U) from this texture so it wouldn't interfere with my final image coloration. I put the texture layer in Overlay blending mode and added a layer mask. I used a soft black brush in normal mode at 30-100% opacity to remove all texture from her face and hair. 3. 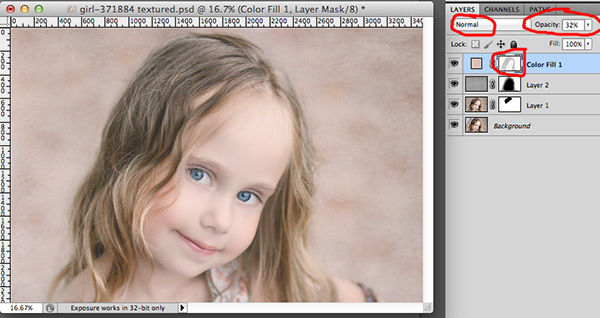 Add Pink Tint: You can add a pink/peach color fill layer to girly portraits for a wonderful soft result. This edit is not for every photo, but it can really create lovely works of art with the proper images. 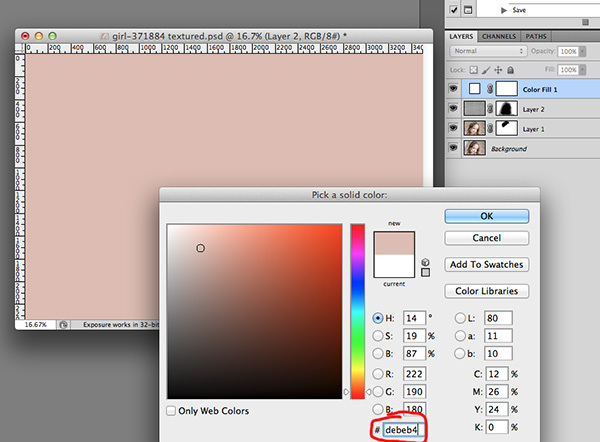 On this image I added a Color Fill layer with hex#debeb4 (a pink). You can use any pink/peach color you want. I usually play around with the color fill layer after painting on the layer mask (next step). I keep this in Normal Blending mode and dial down the opacity to 15-35%. 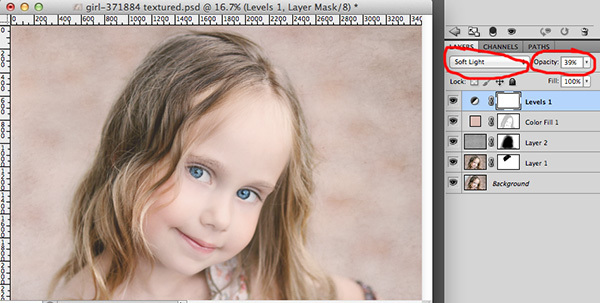 The opacity really depends on how much softness/pink tint you want in your edit. I really like to bring out the eyes, lips, and hair; so I use a soft black brush in normal mode at 20-50% opacity on the Color Fill layer mask and paint over them to remove some of the hazy tint. 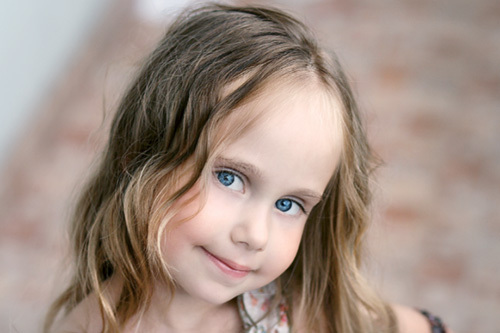 In this edit I used around 50% opacity for her eyes, 40% for her lips, and 30% for her hair. 4. Add Contrast (Optional): If you want to add a bit of contrast to make the darks "pop", add a Levels adjustment layer (without making any changes to it) and put that layer in soft light blending mode and set the opacity to 30-50%. I hope you enjoyed following this editing tutorial. If you want to have additional editing fun on your images, please visit my tutorial page and action page. Please post your before and afters on my Facebook page, I love to see your images!